SmileWright Dentistry (Brandon) - Book Appointment Online! 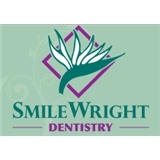 SmileWright Dentistry is a hometown dental practice located in Brandon, FL, specializing in comprehensive dentistry for the entire family. Our practice places a premium on excellent service, quality care and patient convenience. With an emphasis on lifetime preventative care in Brandon, FL, we offer a full range of dental services to meet the individual needs and preferences of each patient. From routine cleanings, to complete smile makeovers, we utilize the latest dental techniques to give our patients the most up-to-date service. At SmileWright Dentistry we designed our office with our patients in mind. By combining a calm atmosphere with modern technology, we have created a place where our patients in Brandon receive the quality of dental care they need and deserve. The moment you walk in our front door, our team will make you feel comfortable, secure and cared for. I do not like to visit a dentist. It has been three year, It was time, I was pleasantly surprised. the main office was inviting, The staff was friendly, But winner was my Dentist she was amazing, I was comfortable and relaxed. Although I keyed in the incorrect information she was attentive and accommodated my request and corrected a cavity on the spot. Love it. Love it. Thank you Dr. Tori Grieb, DMD. You are amazing.